As a 501(c)(3) non-profit charitable organization, all monetary gifts to Siena/Francis House are tax-deductible to the full extent of the law, and are greatly appreciated. Personal donations from individuals and households in our community, and others around the country, are the Siena/Francis House's main source of financial support. Donors give personal charitable contributions (generally checks, cash or credit/debit card) to our shelter because they value our mission of providing food, shelter, and clothing to the poorest of our community. More and more donors support the important work of the Siena/Francis House through recurring donations (once a month, for example). Recurring donations assure the Siena/Francis House of having stable funding, year-round. Setting up recurring donations makes charitable giving more convenient for donors, and helps our organization budget for your philanthropic giving. Please click the Donate Now button below to access our secure, online giving form. If you would like to make your donations recurring, select "Recurring Donation" under the Type of Donation heading. Use the pull-down menu to select the frequency of your gift (weekly, monthly, quarterly or yearly). You can give via credi card, debit card, or even through a bank account. If you need assistance with setting up a recurring donation, please call us at 402-341-1821, extension 8004. Kristi or Mary would be more than happy to help you. Did you know that the Siena/Francis House Homeless Shelter accepts gifts of securities, such as stocks and mutual fund holdings? How: You transfer appreciated stocks or mutual fund shares you have owned for more than one year to Siena/Francis House. We will sell your securities and use the proceeds in support of our programs that serve the homeless. Benefits: You will receive an immediate income tax deduction for the fair market value of the securities on the date of their transfer, regardless of what you originally paid for them. You will pay no capital gains tax on the shares you transfer when we sell the securities. 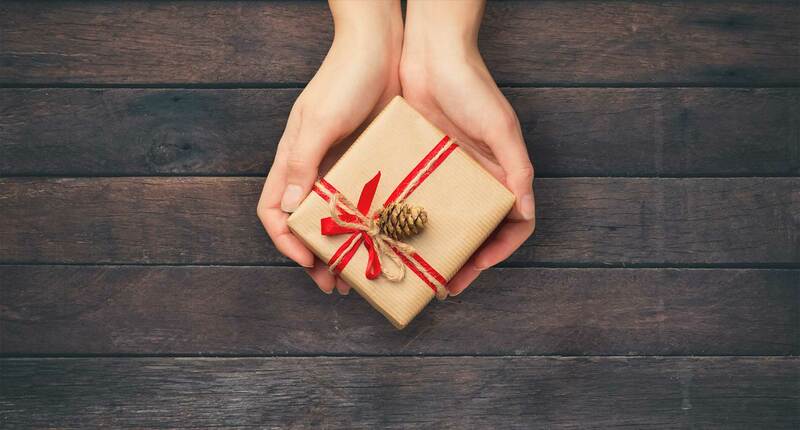 Gifts of appreciated securities and mutual funds are deductible up to 30 percent of your adjusted gross income the year you make the gift. Important: Please contact Siena/Francis House prior to the transfer so we can assist you with instructions for your broker. This will also help our staff identify your gift when it is received, and acknowledge and thank you in a timely manner. Please contact Siena/Francis House Development Director Tim Sully at tsully@sienafrancis.org or at 402-341-1821, extension 1112, to initiate a gift of stock or mutual fund shares to the Siena/Francis House. Don’t wait until December 31--Ask your brokerage account manager about the date by which you need to initiate a transfer in order to receive a 2018 tax benefit. In January 2018, a federal tax overhaul included provisions relating to charitable giving. Most prominently, qualifying donors can still make direct transfers to charities from individual retirement accounts (IRAs) without first having to recognize the distribution as income. You are 70 1/2 years old or older. Your cumulative tax-free transfers to charity do not exceed $100,000 per tax year. Your tax-free transfers are made directly from your IRA or Roth IRA to a qualified public charity, like the Siena/Francis House, and NOT to donor-advised funds, supporting organizations or private foundations. Transfers completed by December 31, 2018 will be free of federal income tax this year, and such gifts qualify for the 2018 required minimum distribution from donors' IRAs. Please act now to support the Siena/Francis House - and to fulfill your own charitable goals - by taking advantage of the planning options available to you. If you would like us to coordinate with your fund custodian a direct transfer of fund from your IRA or Roth IRA to the Siena/Francis House, please contact our Development Director, Tim Sully, at 402-341-1821, extension 1112, or by e-mail at tsully@sienafrancis.org. Thank you for considering this excellent charitable-giving opportunity! Other donors make more lasting gifts to support the poor and homeless of our community by including the Siena/Francis House in their estates, as a beneficiary of a life insurance policy, or as a beneficiary of a retirement account. These types of “legacy” gifts go a long way in helping our organization provide food, shelter, and clothing services that so many in our community desperately need. For more information regarding estate planning, please click HERE.